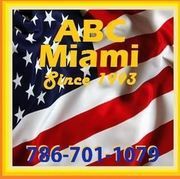 My friends recommended this Miami movers for our last week relocation from Downtown Miami to South Beach. Great decision and our movers did a great job. Thank You guys for your hard work. I paid as the same as their estimate. Whatever they quoted was right on the mark. Overall it's a good experience. If I had to recommend them to someone I would do that. No complaints.